At GSM Builders, we’ll transform your backyard into a personal retreat. Our customized swimming pools are built to meet each and every customer’s need. We’ll not only provide the dream designs, but we’ll bring your swimming pool to life with an impeccable installation that will leave you enjoying your pool for years to come. Quality is our main focus and we show an amazing attention to care and detail in every project we work on. Our pool and spa building experts use only the best quality pool manufacturing parts, the finest quality filters and we take care of all of the engineering and structural support to make sure that your pool will last for years to come. When you work with our installation team you work one-on-one with a qualified builder and the owner that will stick to your budget and help you get just the pool or spa you envisioned. It’s also important to note that your investment is well protected because at GSM Builders we offer quality warranties on every installation. This means you don’t have to worry about defective materials or workmanship issues. We stand behind our work and we protect your investment so that all of our clients end up satisfied. Pool & water feature design consultants working domestically and internationally. "Specializing in the unusual!" Australian and New Zealand pool builders continue to push the boundaries in terms of design. Infinity pools, for instance, are no longer reserved for top-end holiday resorts; and lap pools aren’t standalone additions to a backyard. You can now get your feet wet in an infinity pool, lap pool or swim spa that is an integral part of your Miami, FL home design. And, with improved technology, there are more low-maintenance, energy-efficient and sustainable options available. Whether you’re at the beginning stages of planning a pool or spa, renovating an existing one, or just need upkeep assistance, there’s a Miami, FL pool specialist on Houzz who can help. After council approval, your contractor will commence construction, which can take up to two weeks for a fibreglass pool and longer for a concrete pool. Some companies in Miami, FL extend their services to pool fencing, landscaping and the coordination of trades for filtration and heating equipment, as well as pool cleanings, water testing, renovations and equipment replacement or repairs. Here are some related professionals and vendors to complement the work of pools & spas: Garden & Landscape Supplies, Landscape Architects & Designers, Building Project Managers, Landscape Contractors & Gardeners, Solar Power Contractors. 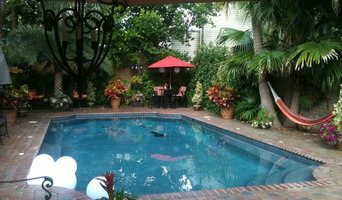 Find a Miami, FL swimming pool and spa expert on Houzz.